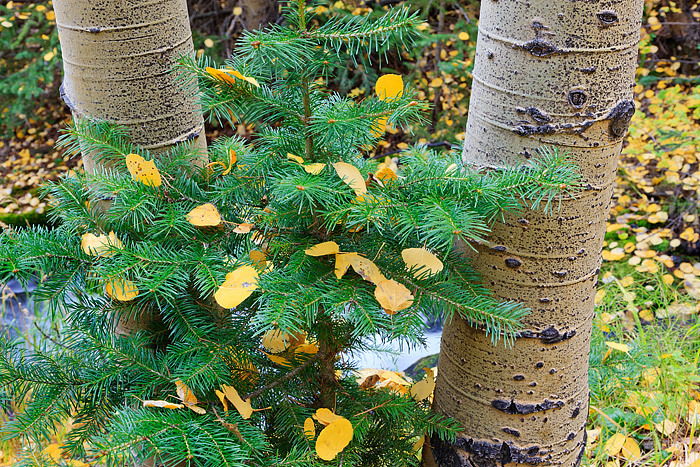 A small spruce tree grows between two aspen boles along the banks of Boulder Brook. The golden fall aspen leaves cover the pine boughs and forest floor on a beautiful autumn day in Rocky Mountain National Park. Photo © copyright by Thomas Mangan.